1.Instant Setup and Take down, Portable, Sturdy, and Durable Indoor and Outdoors. 2.Tent Cover Water-Resistant and Against Sun Harmful Rays. A Day at the Beach,Backyard Barbecues,Patio,Small business,Trade shows,Hiking,Gameday & Tailgating etc. 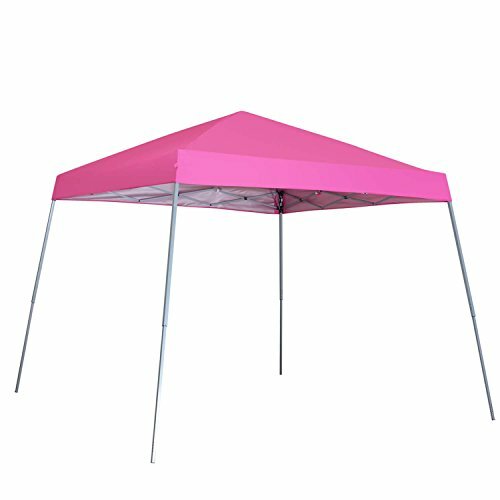 Slant Legs,Top Cover 8'x8',Base 10'x10',Top Height 96.5",Height Adjust Each 1.18"
Canopy Gazebos Tent Suitable For Outdoor,Patio,Camping,Tailgate,Party,Events,Beach etc. If you have any questions about this product by Outdoor Basic, contact us by completing and submitting the form below. If you are looking for a specif part number, please include it with your message.